As we go deeper into the Playoffs, the Art of a Champion collection rolls on with this weekend’s release. The date was June 10, 2014. The NBA Finals pitted the veteran San Antonio Spurs squad and the much-decorated Miami Heat. Among all the stars in this series, it was third year player Kawhi Leonard that changed the game with his Game 3 performance. The Spurs eventually won the series 4-1, and Leonard would earn Finals MVP. His performance on both ends signified a passing of the torch for the Spurs franchise (as much as it has been a turbulent season, the Spurs still look to Kawhi as the team’s cornerstone). 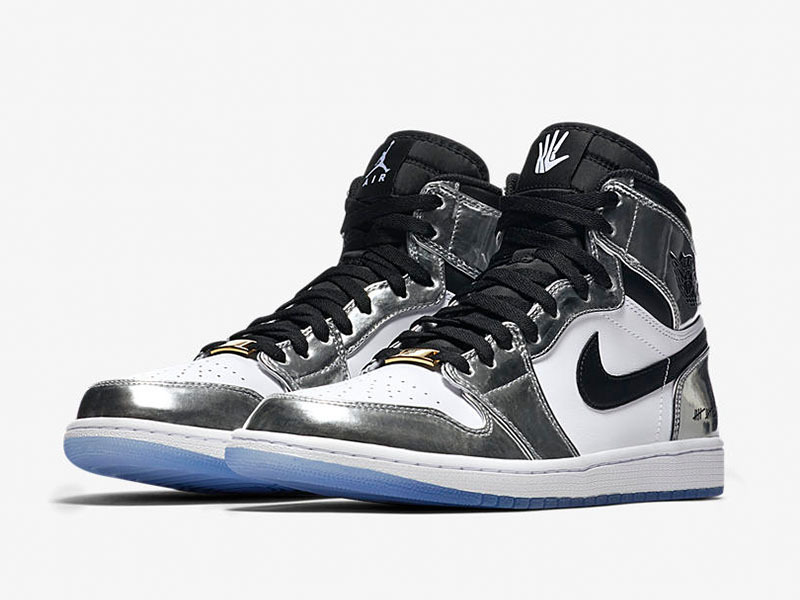 To celebrate that Finals moment, we’re getting the Air Jordan 1 Retro High “Pass the Torch”. 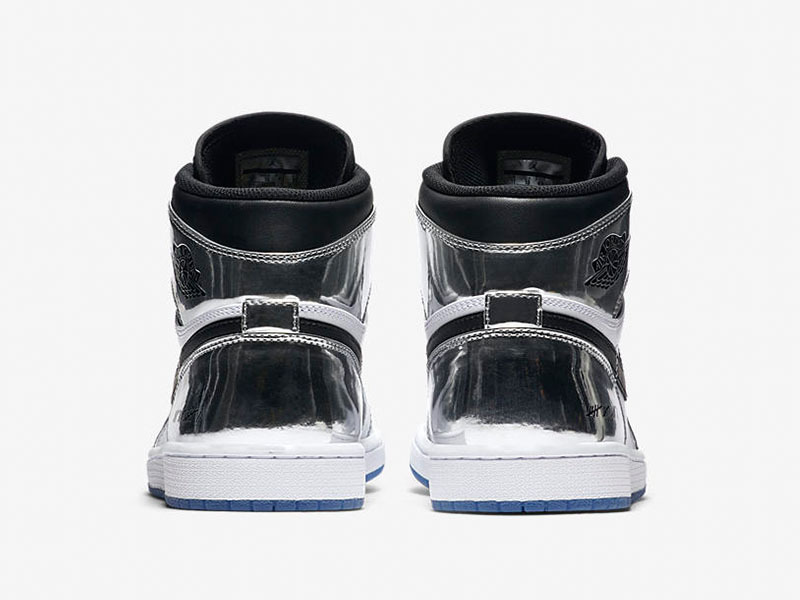 The shoe dons the Spurs team colors — a chrome silver finish, with white and black throughout. Kawhi’s “Klaw” logo is found on the left tongue, right insole and left outsole. 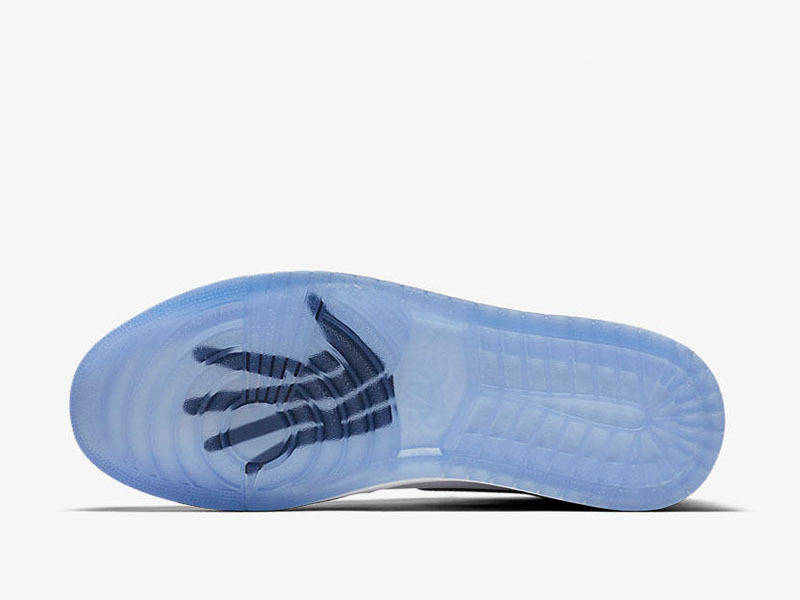 The 16 strikes are found on the lateral side of the heel, representing the 16 games you need to win the championship. 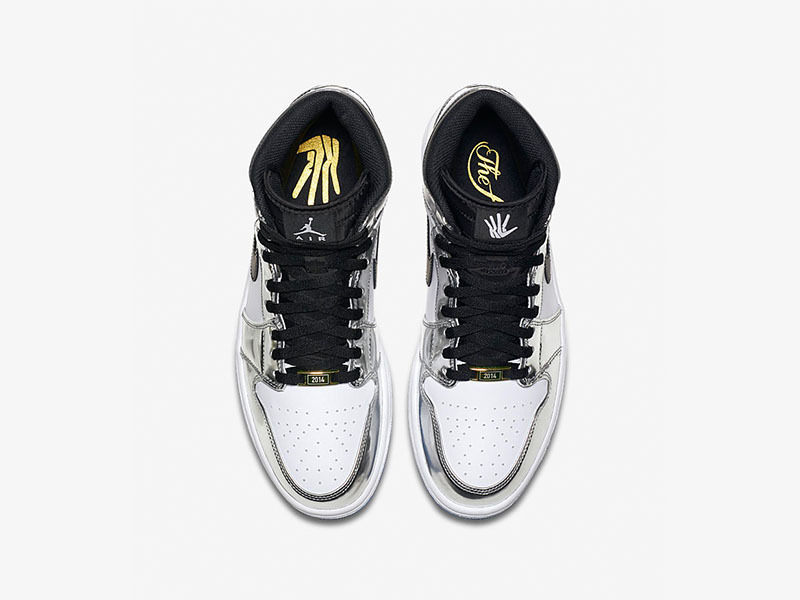 The shoe also comes with gold plated lace dubraes with 2014 on them as well as a Larry O’Brien trophy hangtag. 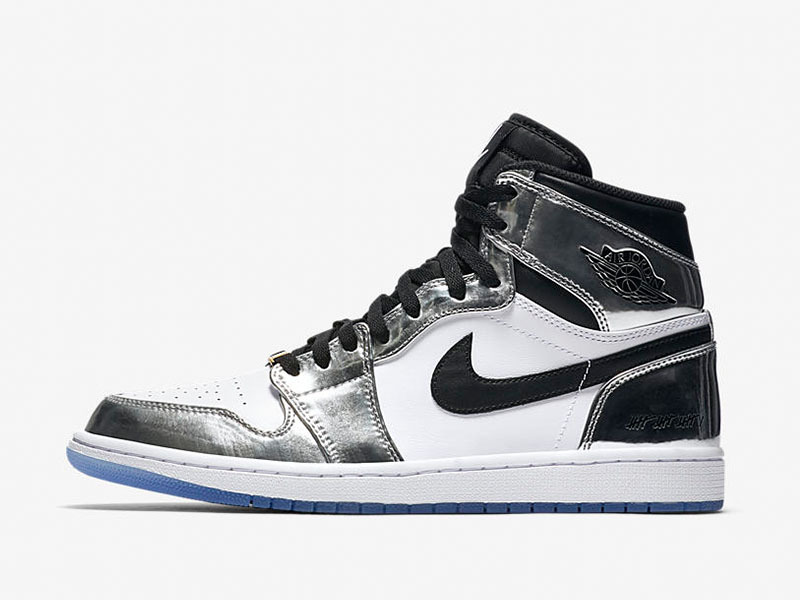 The Air Jordan 1 Retro High “Pass the Torch” retails for Php 9,895 and will be available at Titan via online raffle. Make sure to check their Instagram account (@titan_22) for more info.